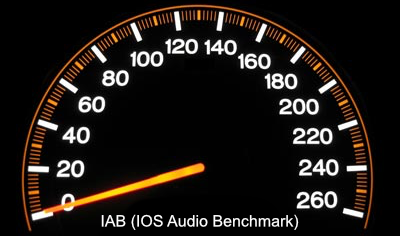 Welcome to IAB or IOS Audio Benchmark, this page is the home of an ongoing project to design and collate an accurate data base of real world performance of IOS devices using Digital Audio Applications. The IAB Forum is the place to collectively contribute ideas, and technical discussion, as well as continue developing and expanding the IAB suite, away from the noise of regular audio forums. Currently the suite contains a collection of four generalised CPU stress tests for the Beatmaker 3 software by Intua, our chosen baseline device was an iPad Mini 2 and all tests were designed to run seamlessly on that device, so any device released after the Mini 2 should be able to run the tests too for cross device comparison. The IAB tests are designed as real world testing and not just general testing, this is a much more valuable resource for anybody interested in audio production on these devices and helps you to make a much more informed comparison between different devices, with this in mind we created the first four tests at different buffer values, with a single test across multiple buffers a higher buffer would result in lower CPU results, in our tests more work is asked of the CPU in higher buffer settings, which more accurately corresponds to the way a music producer would use a device. It must be noted that these four test are the just the first step, the next steps will need a lot more developer input to utilise best practices for the most accurate results, to this end Brambos of Ruismaker is giving us some needed developer guidance on the best steps moving forward, hopefully this will lead to more extensive tests covering more hosts. Maximum polyphony test to determine max CPU usage before breakdown at different sample buffer settings. Maximum Reverb instances test to determine RAM usage before breakdown at different sample buffer settings. Here are step by step instructions to carry out the first four tests in the IAB suite. Here you can download the current IAB suite containing a collection of four separate session files for Beatmaker 3 by Intua, each session file corresponds to a different buffer setting. What name do you want to be shown in the user list ? Which iPad did you run the tests on ? Which version of IOS is your iPad running ? 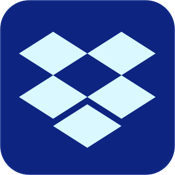 Which version of Beatmaker 3 did you test ? What was the highest Beatmakers CPU readout showed while running this test ?